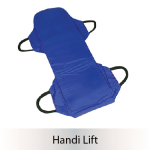 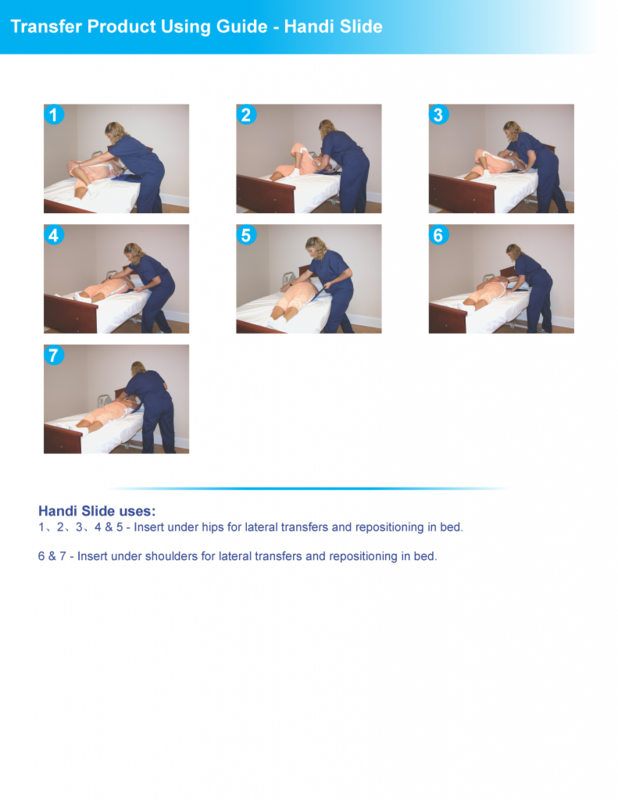 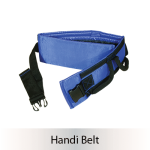 The Handi Slide is a single caregiver aid that provides quick repositioning and can be used as a sole device or in conjunction with other aids. 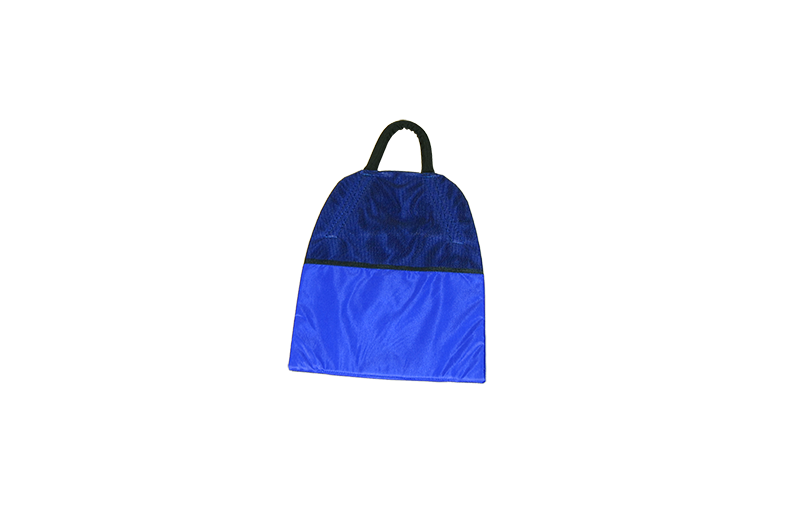 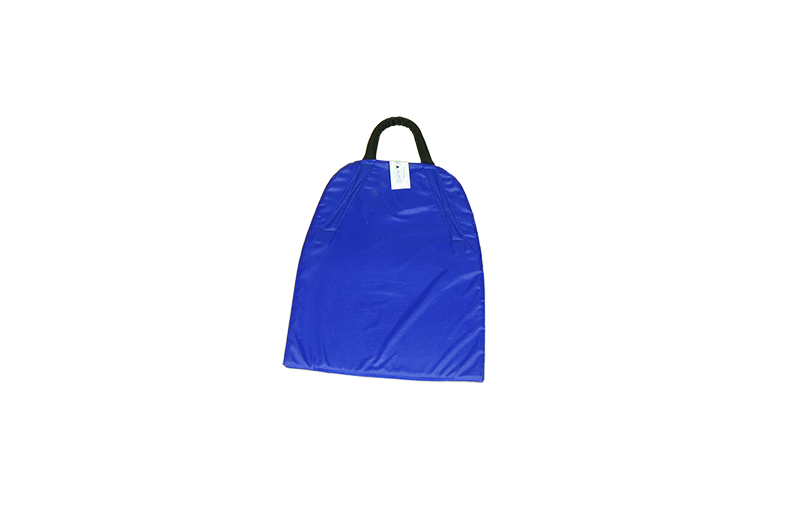 The bottom surface has a low friction grip in order to provide easy adjustments while the top surface is non-slip in order to keep patients secure. 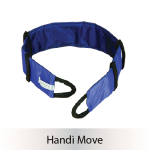 Caregivers reposition with the loop handle.